What an overwhelming response Windows 10 has got! Honestly, this seems like a big advancement compared to the fiasco that was Windows 8. But we love that the Start Menu has made its exultant return and replaced the Start screen that we bore hatred towards it! And yes the new features like “Cortana” and the most-awaited “Edge” web browser have got good welcomes too. Unerring, it seems. But to err is human! And here are few that you may have noticed. 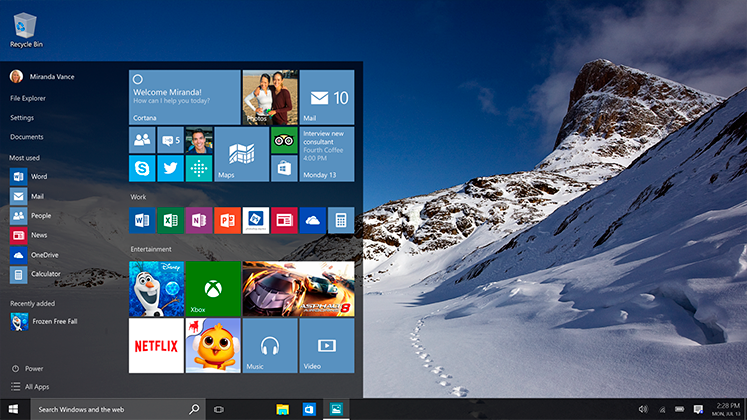 One of the biggest windows 10 issues is its upgrade. All the updates seem to happen automatically. The Microsoft EULA reads “automatic updates without any additional notice.” This basically means, you agree to all the mandatory updates even if you don’t want them while you install this. This does have its own benefits; the company can be sure of keeping all the computers up-to date. This reduces security risks. The support for Operating Systems is also simplified. It is good to have automatic updates, but users should have control over the updates they need in their systems. This is again a related issue that people seem to be facing with Windows 10 is with drivers. Though the OS has yet to get the largest test in the future weeks, many reported problems trying to get Bluetooth and Wi-Fi to work properly. While there are no official reports from Microsoft about any serious problems with hardware compatibility, but still problems for many. Wait! What did you just say “Chrome” is behaving weirdly?? Chrome browser is experiencing a hell lot of problems like becoming stuck and hanging unexpectedly, specifically when you are streaming video files. Well, till then we have to look forward for Google to fix up the bugs, one solution that may help is by removing all your extensions. And if that doesn’t work out, reinstall Chrome. While this version of Microsoft’s operating system is supposedly to be the subsequently better version of Windows, it’s still very far from calling it complete. Though it will face many problems, there are many sites and forums that may provide solutions to you. Windows 10 issues are for sure going to be irritating for users but i would say have little patience, all your problems will be solved by Microsoft. Home users can make any problematic driver update into a hidden update. It will remain hidden 6 months. I know since I have done it myself. You need to download an app from Microsoft to do it. Pro user can delay updates. However as far as I know Microsoft will be adjusting the handling of update later on based on feedback.